Exciting news form NVIDIA. The new NVIDIA 3D Vision Pro has reached the next level of 3D stereoscopic with a further three dimensional graphical capability that supports large scale visualization environment. The 3D graphical interface also supports video walls and collaborative virtual environments (CAVEs) in its 3D Vision Pro technology. NVIDIA 3D Pro system will require a corresponding NVIDIA Graphic Processing Unit that runs on either a Linux or Windows XP, Vista or 7 based system. A display or projector that supports 3D technology and application that support Quad Buffered Open GL stereo or NVIDIA Stereoscopic 3D driver. 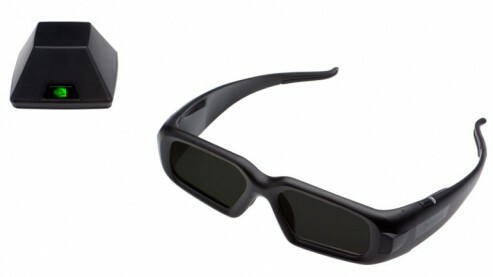 However, in the process, users will need to have active shutter glasses that support NVIDIA 3D Vision Pro system, which also released by NVIDIA for separate purchase. The shutter glasses have rechargeable batteries that will give enough power for up to 20 hours of continuous viewing. Meanwhile, NVIDIA 3D Visio Pro shutter glasses will be usable up to 150 feet away without any problem of blind spots, transmission issues between multiple system and crosstalk. 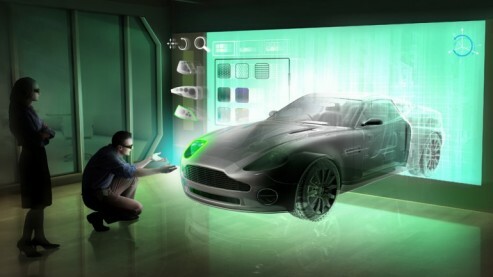 NVIDIA 3D Vision Pro system will likely benefit designers from all cross of industries and especially useful for those dealing with large scale of product’s mock-up such as automotive, engineering or other complicated buildings or project structures that need 3D drawings for better presentation details for the stakeholders. Expect NVIDIA 3D Vision Pro available by October this year.